Yes, that voice in the elevator….the one that speaks to you in a monotone voice….”second floor”, “third floor”…..what a wasted motivational opportunity! Why not customize that voice to suit the days of the week? For example, first thing Monday morning, the “voice” could be perky and welcoming to the office (eg: “yes, it’s Monday morning, may you have a great week as you exit at the second floor”). On Friday it could change to…”It’s fantastic Friday today, a real pleasure to take you to the second floor”). 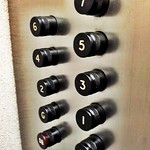 But what if the elevator could have facial recognition….!!! Just imagine, a voice greets you with a personal salutation as you enter the elevator (“Hi Jane, welcome, have a great day working in your marketing role on the second floor”). Great feedback, I really like the extra ideas! Thanks!